HOT CARS FROM ACROSS THE U.S.A. It all started with 3 cool cars – Italian import, Japanese Import and American Muscle. Our love affair with modifying cars – regardless of cost or origins – has turned into an obsession, and that obsession turned into MySickRide.com®! The site has been around since 2005 and was originally created for a handful of club members to share our favorite pictures and stories. Since then we have opened the club and site to anyone with a passion for cars. On this site it isn’t about what your car costs or what kind of mod’s you have. It’s about your attitude and what your ride means to you. 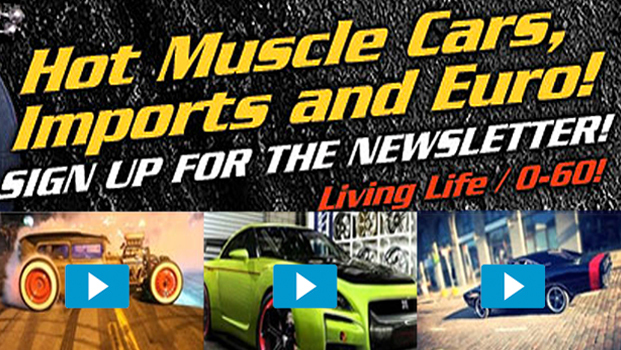 We hope you sign up for our newsletter to get stories on hot cars from across the U.S.A. ranging from American Muscle Cars, European Imports and Asian Tuners as well as articles on shops across the U.S.A.
We run contests through email too, people have won all kinds of swag including t-shirts and decals… You know you love looking at hot cars and sick rides! What are you waiting for? You can sign up right now on the right and if you want to stop getting the newsletter just click “Unsubscribe” at the bottom of your email at any time.